ROME -- Italians know trendy when they see it, and a growing number think electric cars fit the bill, according to the head of Europe's biggest energy provider. While enhanced drivability and concerns about the environment may be pushing many consumers toward EVs, an insatiable desire among Italians to be fashionable and ahead of the curve plays a role too, Enel’s CEO Francesco Starace said in an interview in London. "Italians like electric cars because it is a new and fashionable concept," he said. "Plus, they are really fun to drive. If you judge interest based on that, the market in Italy will pick up for sure." Starace, 62, has two EVs of his own, a Tesla and a BMW. Annual sales of new EVs have doubled in Italy over the last four years, according to data compiled by Bloomberg New Energy Finance, with quarter-on-quarter growth averaging 14 percent between 2015 and 2017. The numbers are in line with the European average. 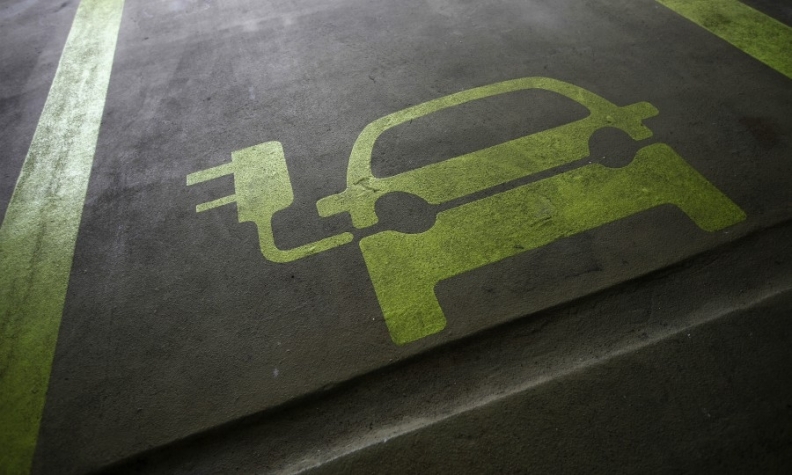 Rome-based Enel has been seeking to tap into the growing market by partnering with automakers including Volkswagen Group to bundle the sale of charging stations with cars. The company will also invest between 100 million euros ($124 million) and 300 million euros to install as many as 14,000 charging stations in Italy by 2022. With key automakers including Volkswagen and Mercedes-Benz set to launch new EVs between 2020 and 2021, including investments in "multi-billion-euro plants," the main opportunity for Enel could be the private market for charging stations in Italy, Starace said. "Assuming 300,000 electric cars, even if half will require a charging station, that's already a lot." Enel in October acquired California-based eMotorWerks, which supplies charging stations and operates other distributed energy storage facilities. Being an early mover in the e-car business could benefit the utility's bottom line, said Meredith Annex, a London-based analyst at BNEF. "Public and private electric vehicle-charging represents a great opportunity to drive demand growth, diversify revenues, and build demand-side expertise," she said. The company will on Thursday sign a five-year extension of a partnership with ABB FIA Formula E, the first electric-car racing series. As part of the deal, Enel will install for each race a mini-grid including smart meters with energy-management systems. The series include races in some of Europe's biggest cities. "For sure" there will be a growing fleet of electric cars in Italy, Starace said, adding that it's not yet possible to make more precise forecasts. The explosion in e-cars will come "maybe be 2022, maybe 2023, and we want to be accelerators of this change."